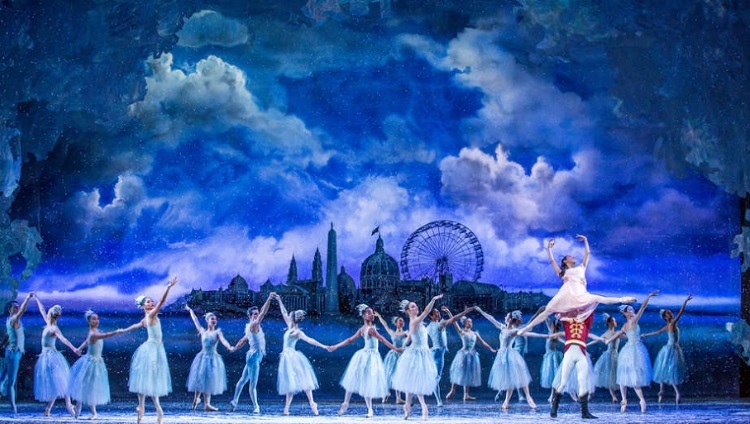 See Tony Award-winning choreographer Christopher Wheeldon’s production of The Nutcracker in this breath-taking performance by the Joffrey Ballet. This fresh adaptation of the timeless Christmas ballet is set during the historic 1893 Chicago World’s Fair and centers on Marie — a young, impoverished girl from the South Side whose parents work at the fair. On the night before Christmas, a magical nutcracker guides Marie through a beautiful dreamland based on the World’s Fair and the many exotic people, animals and places represented there. With Tchaikovsky’s eternal music played by the Chicago Philharmonic, this electrifying work from one of the world’s foremost choreographers leaps into Chicago’s Auditorium Theatre.